On this 2nd day of January, 2015, I completed this version of the Sweet Victory Mandala. Yay! Today I put on the finishing touches using gel pens (Gel Xtreme Metallic Pens ) and markers (Prismacolor Fine Tip , Sakura Permapaque , Tombow ). 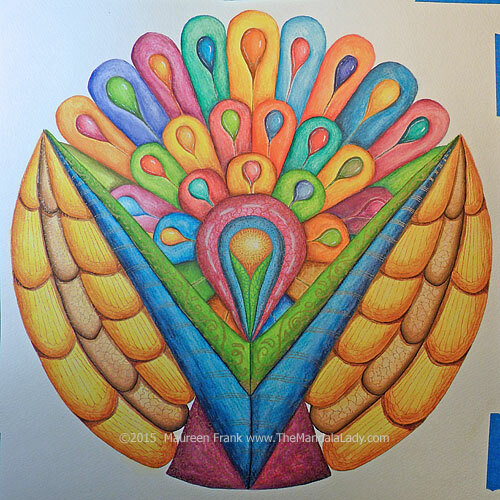 If you would like to color this mandala for yourself, you can find it in the Enlighten Up Mandala Coloring Book.